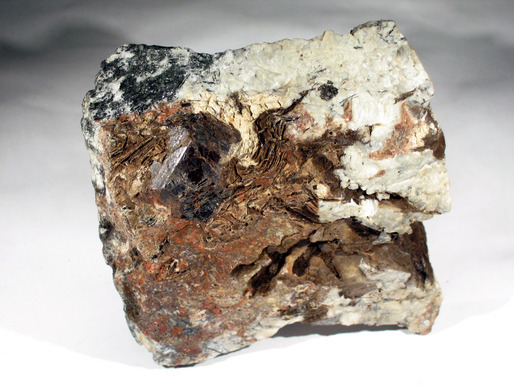 Fersmanite: Mineral information, data and localities. Named in 1929 by Aleksander Nikolaevich Labuntzov in honour of academic Aleksandr Evgenievich Fersman [November 8, 1883 St. Petersburg, Russia - May 20, 1945 Sochi, Georgia], mineralogist founder of the Fersman Mineralogical Museum in Moscow, Russia. The mineral fersmite is also named after him. This page provides mineralogical data about Fersmanite. Rinkite-(Ce) 1 photo of Fersmanite associated with Rinkite-(Ce) on mindat.org. Mosandrite-(Ce) 1 photo of Fersmanite associated with Mosandrite-(Ce) on mindat.org. Lovchorrite 1 photo of Fersmanite associated with Lovchorrite on mindat.org. 56.2.5.2 Nacareniobsite-(Ce) NbNa3Ca3(Ce,REE )(Si2O7)2OF3 Mon. Labuncov, A. (1929) La fersmanite - un nouveau minéral des Monts Chibines. Doklady Akademii Nauk SSSR Seriya A, Comptes Rendus de l’Académie des Sciences de l’URSS: 1929: 297-301. Foshag, W.W. (1931) New mineral names. American Mineralogist: 16: 92-92. Machin, M.P. (1977) Fersmanite, (Ca,Na)4(Ti,Nb)2Si2O11(F,OH)2: a restudy. The Canadian Mineralogist: 15: 87-91. Saf'yanov, Yu.N., Bochkova, R.I., Ilyukhin, V.V. 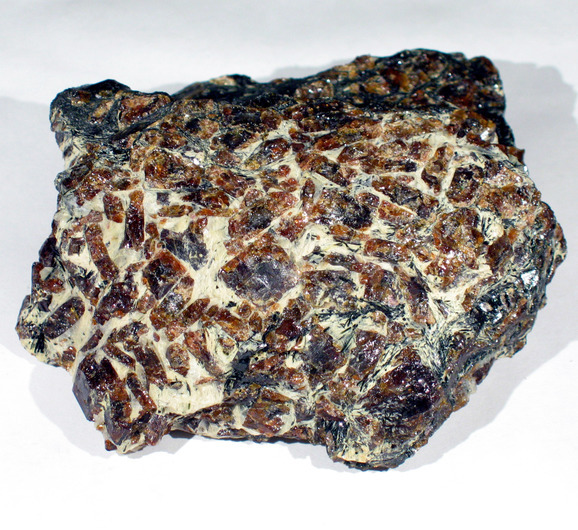 (1984) The crystal structure of fersmanite. Soviet Physics – Crystallography: 29: 31-33. 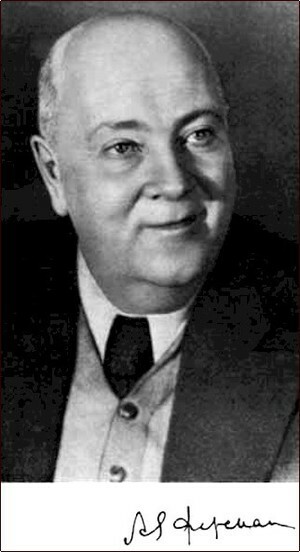 Sokolova, E., Hawthorne, F.C., Khomyakov, A.P. (2002) The crystal chemistry of fersmanite, Ca4(Na,Ca)4(Ti,Nb)4(Si2O7)2O8F3. 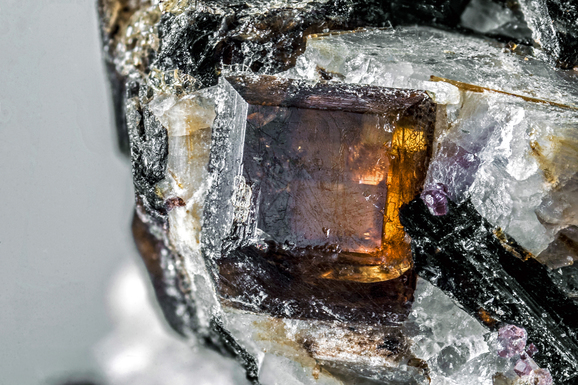 The Canadian Mineralogist: 40: 1421-1428. A.N. Labuntsov Mineralogical survey of central parts of Khibina massif (zircon, catapleiite and fersmanite localities), - Khibinskie apatity, 1933, N6, p. 202-209. ; Pekov, I. (1998) Minerals First discovered on the territory of the former Soviet Union 369p. Ocean Pictures, Moscow; Arzamastsev, A., Yakovenchuk, V., Pakhomovsky, Y., & Ivanyuk, G. (2008). The Khibina and Lovozero alkaline massifs: Geology and unique mineralization. In Guidbook for 33rd International Geological Congress Excursion (No. 47, p. 58).